In her showdown with the murderous Pretender, a bullet taken at close range severed the connection between Taylor Jackson's thoughts and speech. Effectively mute, there's no telling if her voice will ever come back. Trapped in silence, she is surrounded by ghosts—of the past, of friendships and trusts lost…of a lost faith in herself and her motives that night. When Memphis Highsmythe offers Taylor his home in the Scottish Highlands to recuperate, her fiancé can't refuse her excitement, no matter his distrust of the man. At first, the drafty and singularly romantic castle seems the perfect place for healing. But shortly the house itself surrounds her like a menacing presence. As Taylor's sense of isolation and vulnerability grows, so, too, does her grip on reality. 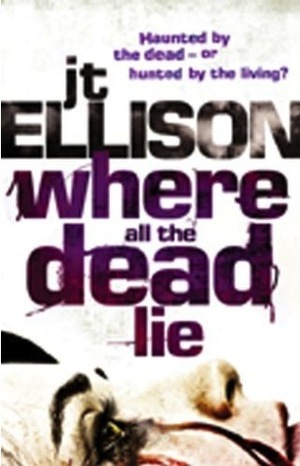 "Ellison deserves to be mentioned in the same breath as Lisa Gardner and Tess Gerritsen. Her latest novel examines life after experiencing a traumatic event while also ripping raw the feelings of grief, fear and loneliness. Ellison is a genius and should be mandatory reading for any thriller aficionado." "The growing suspense will keep readers glued . . . "
"J.T. Ellison gets her Hitchcock on, expertly ratcheting up the tension, twisting her finely honed plot, and just plain messing with her characters' heads until the superbly explosive end. Not to be missed!" 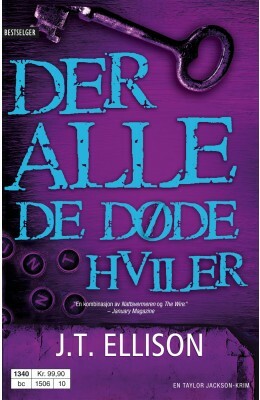 "WHERE ALL THE DEAD LIE is riveting! J.T. Ellison is in top form with this stunning novel of psychological suspense. Atmospheric, emotional, eerie and impossible to put down."